Police will charge a 17-year-old boy from Lorton with murder, after they say he fatally shot a husband and wife in Reston, Virginia. Multiple media outlets report that the suspect espoused neo-Nazi philosophies. 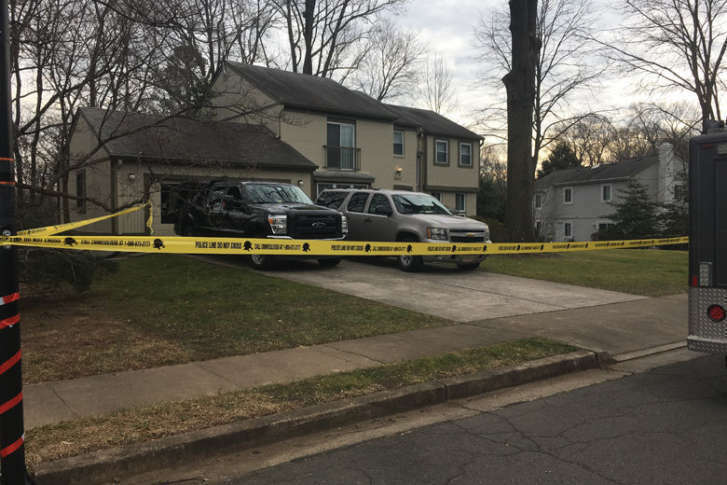 WASHINGTON — Police will charge a 17-year-old boy from Lorton with murder, after they say he fatally shot a husband and wife in Reston, Virginia. The boy also shot himself, but survived and was transported to a hospital in critical condition. The boy is still in life-threatening condition and is being guarded by police at the hospital. On Friday afternoon, police identified the two people who were killed as Buckley Kuhn-Fricker, 43, and her husband, Scott Fricker, 48. The suspect knew the residents of the home, Fairfax County police say. He got into the home and was confronted by the couple. He shot them both and then himself, according to a news release from police. The shooter’s identity has not be released due to his age. The shooting happened in a house in the 2600 block of Black Fir Court at about 5 a.m. Friday. Four others were inside at the time of the shooting but weren’t hurt. Police added that there was no threat to the public. The Washington Post reported Saturday the suspect had been dating the couple’s daughter, but that the family had recently persuaded her to break up with him because he espoused neo-Nazi philosophies. Wynfred Lyddane, who lives next door, said, “My mother apparently heard a lot of the screaming,” he said. He added that the family includes children. Fairfax County property tax records show Scott Fricker is the owner of the house. He bought it in August. Below is a map of the shooting’s location. The Associated Press and WTOP’s Mike Murillo contributed to this report. © 2017 WTOP. All Rights Reserved.